WorldMovieStore - Looney Tunes Platinum Collection Sinopsis. For Blu-ray-owning fans of classic Looney Tunes cartoons, this is truly the ultimate collection. The three discs contain cartoons offering classic tales starring Bugs Bunny, Daffy Duck, Porky Pig, Pepé LePew, the Roadrunner and Wile E. Coyote, and some of the best supporting characters from this classic Warner Bros. lineup, like Foghorn Leghorn (one short features a pining, rhyming, absolutely thunderstruck "Lovelorn Leghorn," which is priceless). The brilliance and humor of Chuck Jones is of course evident in the cartoons, but Jones is one great interview. --A.T. Hurley. Read More Sinopsis. 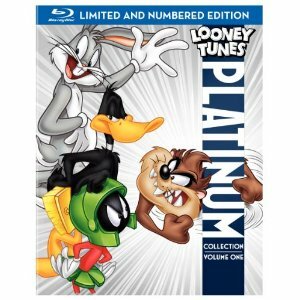 0 Response to "Blu-ray Release Looney Tunes Platinum Collection"